Facebook's Portal camera is an Echo Show rival focused on video calls, but will anyone trust it? Don't worry, it comes with a camera cover. 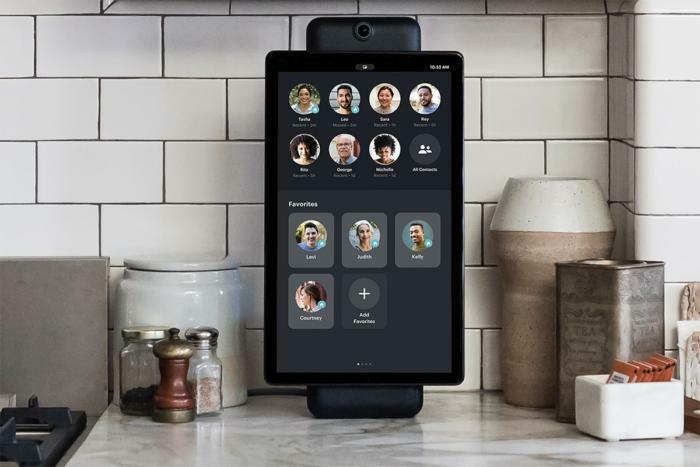 In what might be the worst timed product in the history of the world, Facebook has unveiled Portal and Portal+, a new smart speaker line with a screen and a camera that promises to track your movements, connect with Messenger, and notify you when your friends are available to chat. Priced at $199 for a 720p 10-inch model and $349 for a massive 1080p 15.6-inch one (which can rotate between landscape and portrait mode), the Portal is first and foremost a camera for making video calls. You can use the Portal to call anyone on your Messenger list, even people who don’t have a Portal in their home. And it’s not just for one-on-one conversations either. You can bring up to six people into a call. You can listen to music from Spotify and Pandora on Portal. It also has a feature called Story Time that lets you add music, animation, and AR effects to children’s stories as you read them, as well as the ability to sync the Spotify or Pandora tunes you’re listening to with someone across the country. 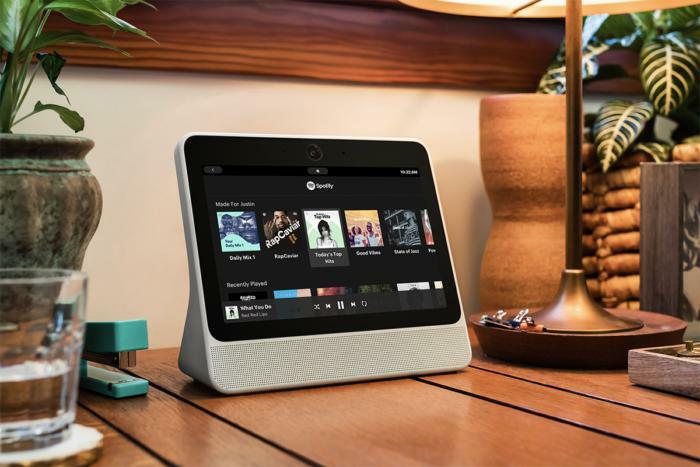 And since you won’t be using any of those features most of the time, the Portal is also an Alexa-enabled smart speaker in addition to responding to “Hey Portal” for voice calls. But Facebook has a whole lot more to do to convince people to buy the Portal then add a few gimmicky features. It’s been barely a week since it announced that some 50 million accounts were hacked, exposing Facebook access tokens that allowed attackers to take over people’s accounts and any account associated with it. Facebook has patched the exploit, but that doesn’t exactly instill confidence. The Facebook Portal comes bundled with a camera cover that you’ll want to keep in a safe place. And that comes on top of a bruising year for Facebook. It was revealed in March that research firm Cambridge Analytica had harvested data from millions of Facebook accounts without consent in an effort to manipulate the 2016 presidential election. And that comes on top of the fake news fight the company has been waging for years. So, to say Facebook has an uphill battle with Portal is an understatement. And Facebook knows it. 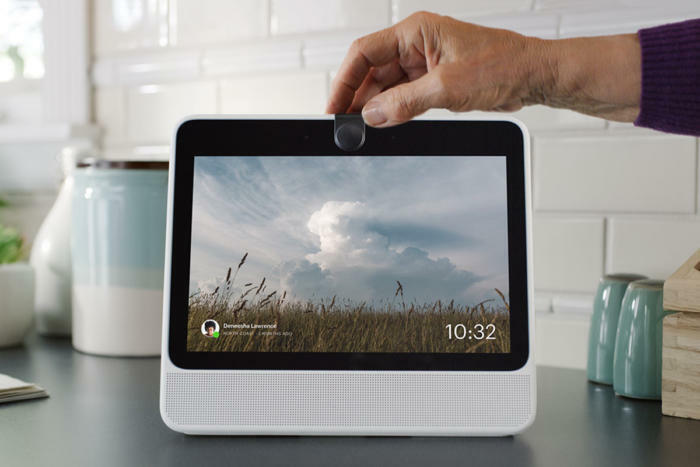 To tackle the issue head-on, Facebook says Portal was built “with privacy, safety and security in mind,” so much so that one of the three main tabs on its website is “Privacy.” Like the Amazon Echo and Lenovo Smart Display, you can completely disable the camera or the microphone in the settings, but Facebook takes it one step further with a bundled camera cover, so you won’t need to put a piece of duct tape over the lens to ensure it can’t see you. Facebook also says that the AI tech inside its camera runs locally on the Portal, and never reaches Facebook servers. Also, Facebook assures that the Portal’s camera doesn’t use facial recognition for identification. And Facebook Live, the company’s streaming protocol, isn’t even an option on the Portal. 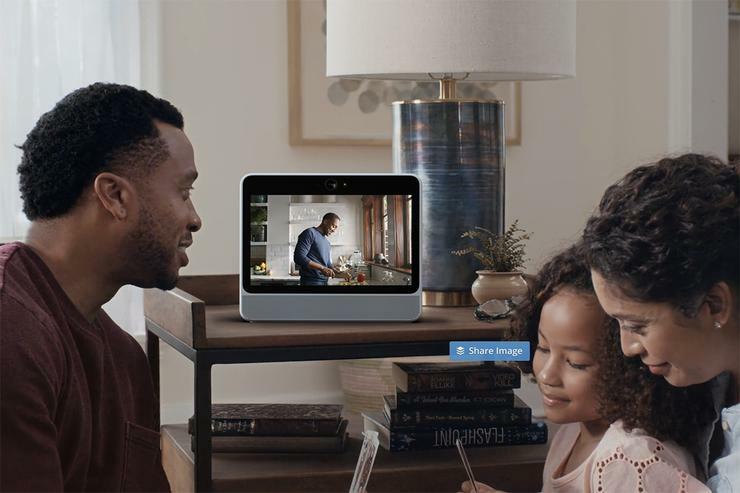 Even with the privacy settings relaxed, there are some pretty important things that the Portal can’t do, including play Netflix or YouTube videos and view your feed, so Facebook is clearly positioning its new device as an in-home video caller. Your Facebook contacts are front and center on portal. And that comes with a big mountain to climb: Facebook is still asking customers to put a camera in their homes that uses AI and location services to know when you’re home and looking at it. No matter how strict your privacy settings are you’ll still need to log in with your Facebook account. And if you want to use it for the reason it’s being sold, the privacy restrictions are basically lip service, since the calling functions won’t work. As far as ads go, Facebook says the Portal won’t display ads “at this time,” which is hardly a promise. If anyone wants wants to pre-order a Portal before it starts shipping on Nov. 12, they’ll save $50 on either model. That’s not a bad deal, but is $50 enough to convince people to open their homes to a Facebook camera? I’m guessing the answer for most people is a firm no.